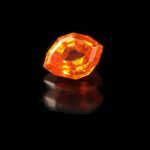 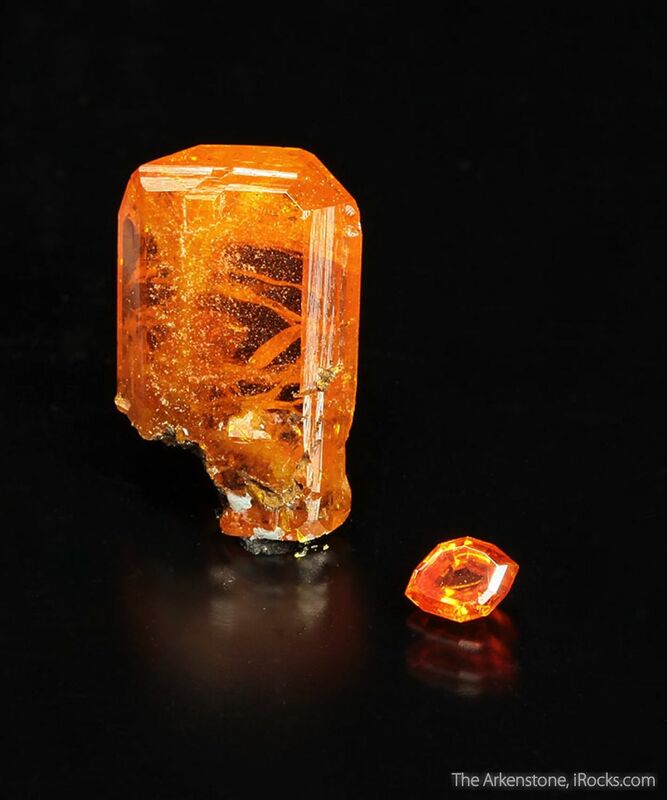 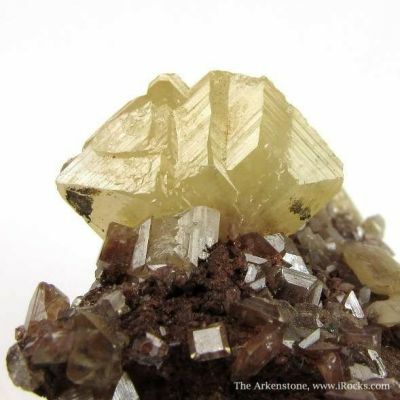 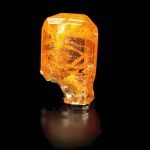 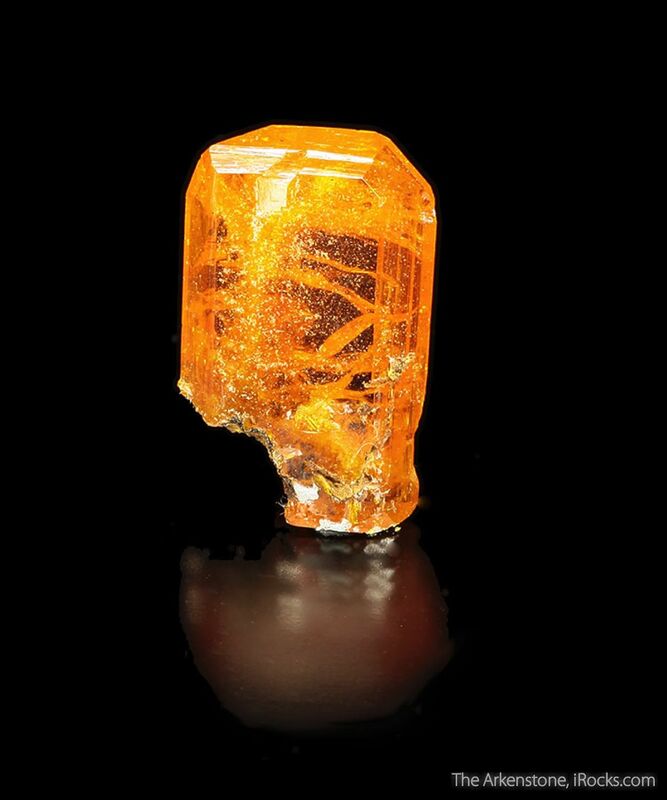 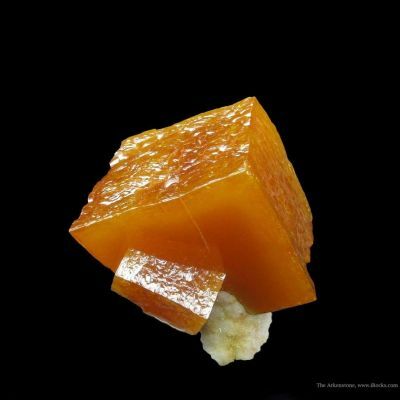 2.0 x 1.1 x 0.3 cm (Specimen); 1.02 carats; 6.24 mm x 4.64 mm (Gem) - Wulfenite gems are not terribly common on the market, and most them are from places like Tsumeb or Touissit, but arguably the finest COLOR gems are those from the famous Red Cloud Mine in Arizona. 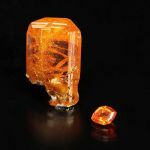 This set features an amazingly brilliant red-orange gem with a "Freeform Step Eye" cut and nearly eye clean clarity. 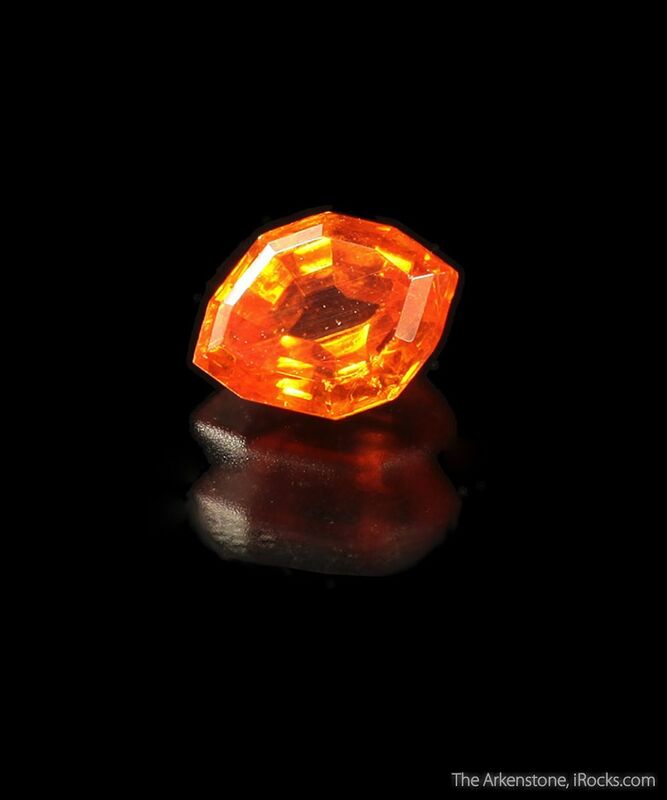 The fact that the stone is over 1 carat in weight makes a difference, as most gems from this mine are too small to reach this weight, and any rare stone over 1 carat is definitely considered to be "collector quality". 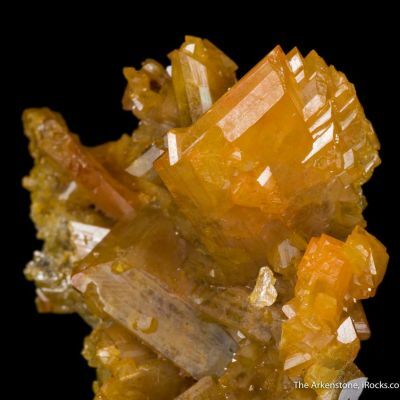 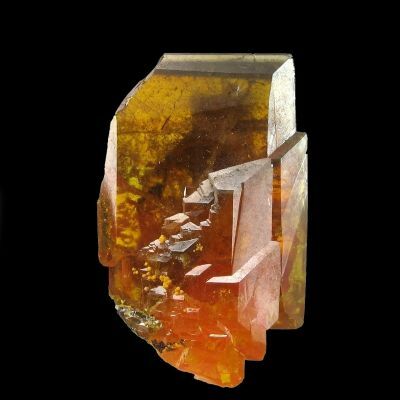 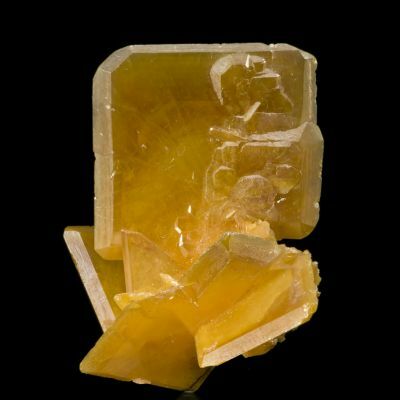 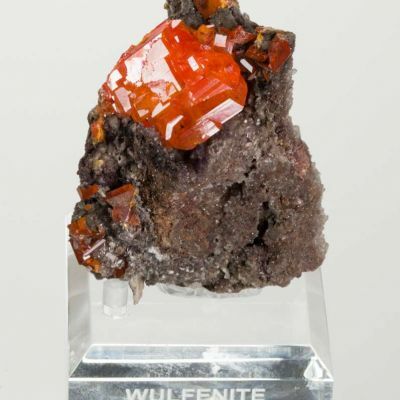 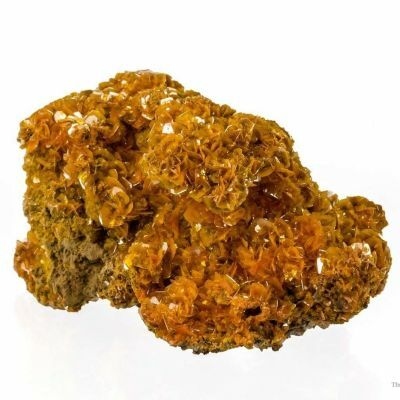 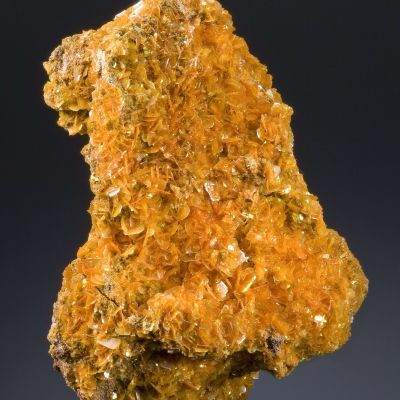 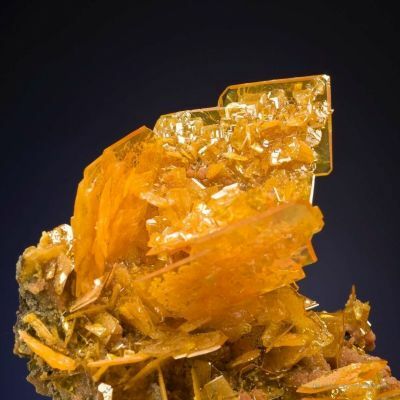 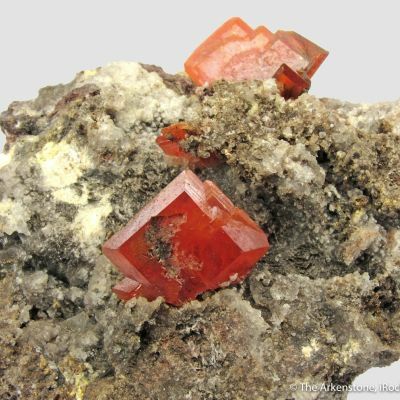 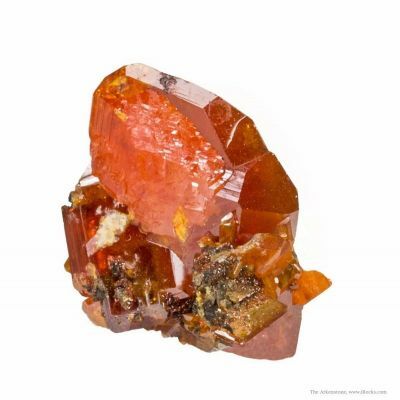 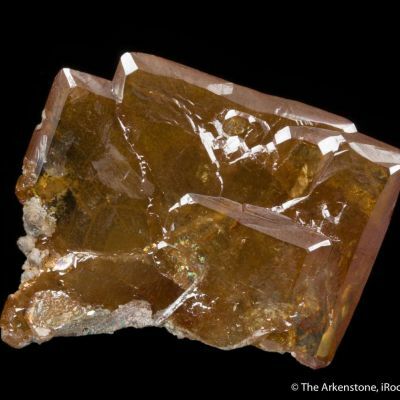 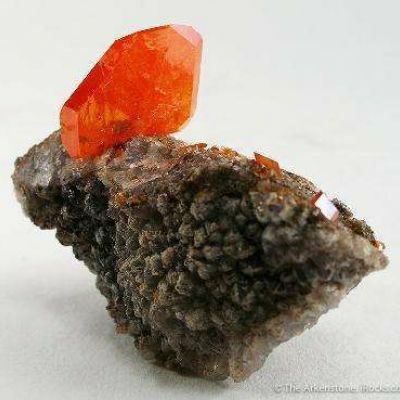 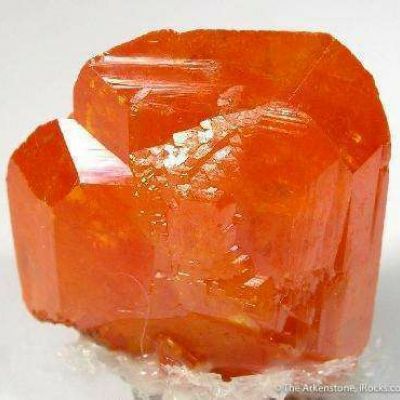 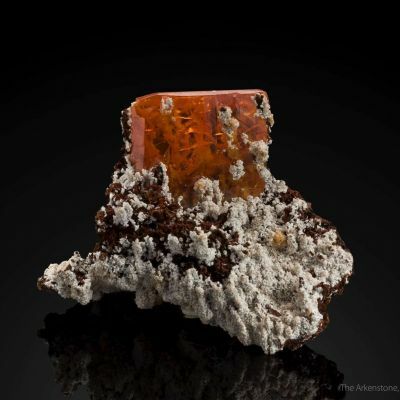 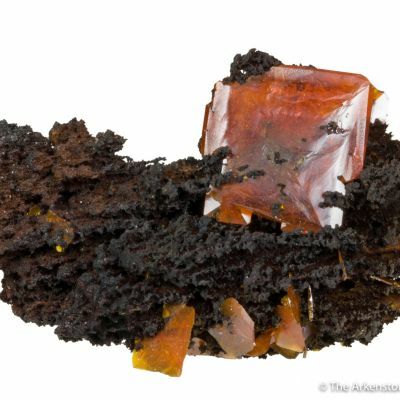 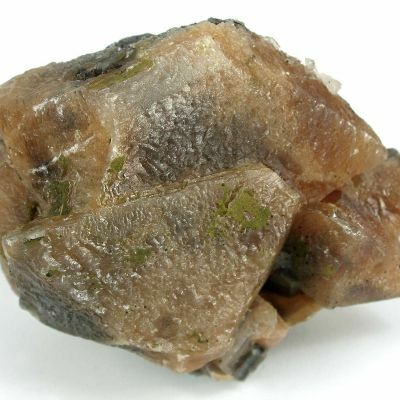 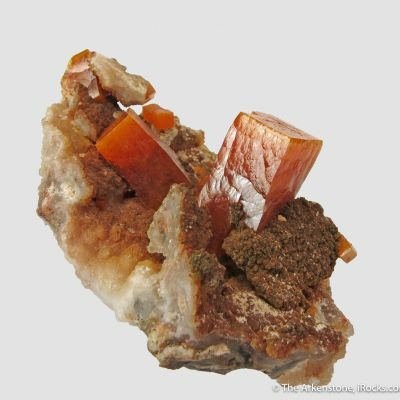 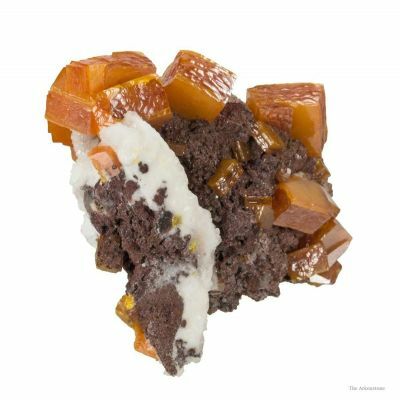 The accompanying crystal is a fine tabular example of Wulfenite from the Red Cloud with sharp lustrous faces, intense fiery color and even some small patches of near water clear transparency. 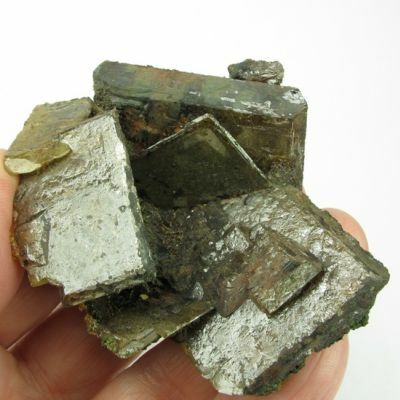 A great set for any collector.